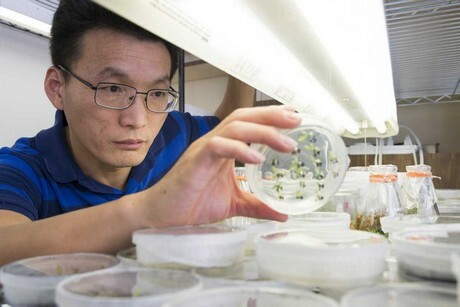 When Nian Wang pieces together sequences of genes, he hopes to make citrus varieties that are more tolerant to the deadly disease known as greening, which has devastated a multibillion dollar-a-year industry in Florida. Wang wants to inhibit the spread of Candidatus Liberibacter asiaticus -- the bacterium that causes greening – by boosting citrus immunity. This proposed research will develop HLB control therapies and generate disease-resistant varieties, he said. Additionally, Wang’s research will further help citrus breeders identify the genes they need to develop greening-tolerant varieties faster.